Our primary coverage area for the below products and services is Southeastern Colorado. We understand the difficulty of receiving such services in rural areas and are willing to travel. Just contact-us and we will contact you to discuss your particular problems and needs. The Future of residential home security and home management is NOW! The latest and most advanced security and home management solution in the industry. 2gig introduces Go!Control, the first all-in-one security and home management system with color touch-screen interface and intuitive, user-friendly interface is found on the Go!Control panel, your computer (internet) and web-enabled phone – providing your customers with access when and where they need it. Gentex was originally founded as a manufacturer of high-quality fire-protection products. Our team had long recognized a need for better smoke detection; in 1974, a product was introduced that literally revolutionized the industry.This landmark product was the world's first dual-cell photoelectric smoke alarm. It quickly became the commercial industry benchmark because it was less prone to false alarms and was designed to quickly detect slow, smoldering fires. This technology became the foundation for our current products, millions of which can be found in schools, dormitories, hotels and hospital buildings throughout North America and the world. The award winning MemoCam® Family features a range of covert advanced digital detection and evidence-capture solutions in simple plug and play designs. Ideal for smart, covert evidence recording, MemoCam units are available in a range of configurations including mobile units, desktop clock models, and models that can be networked and managed from anywhere, anytime via the internet. MemoCam Zorro, our next-generation series, automatically record events on a mini SD card for local storage up to 2GB memory. The recorded images are easily analyzed by simply removing the mini SD card from the unit and inserting it into a memory card reader connected to a PC/pocket PC. Images are digitally stamped and dated for integrity. 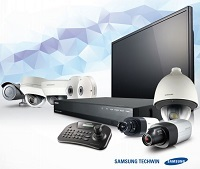 Visit Samsung's Website for their full array of video surveillance products and tools to help you find the system you need. Then call or email us for an appointment to discuss your needs.